Will I buy it more than once? : Yes. How long did 1 purchase last? : 6 months of occasional use or 2-3 months of more regular use. 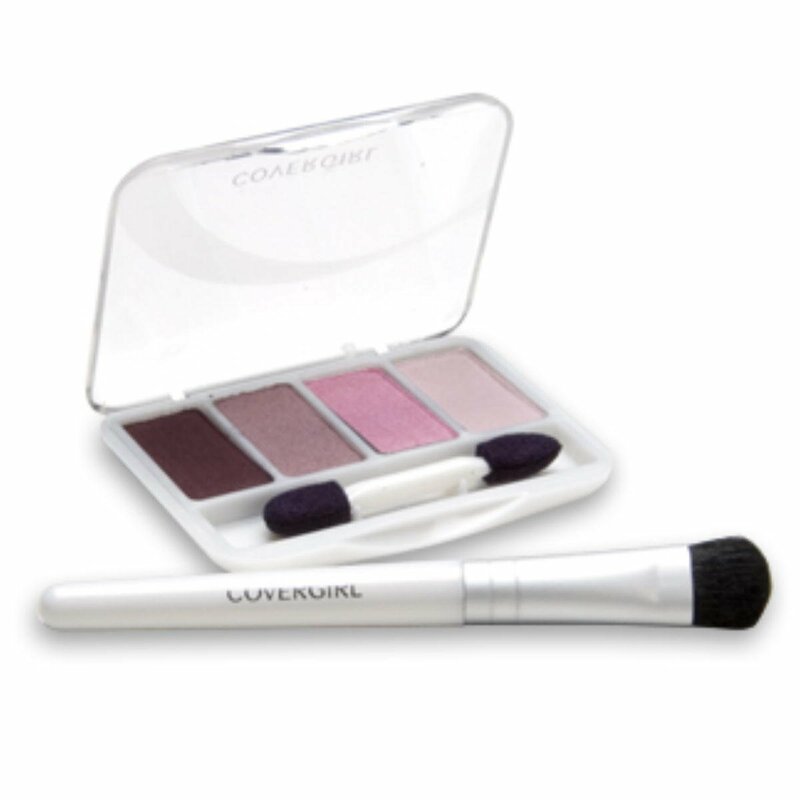 This eye shadow quad by CoverGirl is meant to complement eye colour. In this case, I chose the “vivid green” option because I have green eyes. The back of the package includes instructions with regards to how to achieve an eye makeup look with the four provided shades. *Comes with a shadow brush that I personally love. Talc, Mica, Zinc Stearate, Mineral Oil, Dimethicone, Boron Nitride, Calcium Silicate, Sodium Dehydroacetate, Propylparaben, Methylparaben, BHT, Quaternium-15, Quaternium-15. May Contain: Titanium Dioxide, Iron Oxides, Ultramarines, Carmine, Manganese Violet, Ferric Ferrocyanide, Blue 1 Lake, Bismuth Oxychloride, Chromium Oxide Greens, Yellow 5 Lake.